Geeksphone, the first Firefox OS phone maker, announced on Wednesday a new high-end smartphone called the Revolution. The Spanish company didn’t disclose details such as price, features, ship date, and appearance. But judging by the wording on the Geeksphone Revolution Web page, “a creation with a powerful heart,” we can expect a faster processor than what’s in the company’s first models, the low-end Keon and midrange Peak. The phone will run not just Firefox OS, but Android, too, and customers can order it with either. Geeksphone offered Android Phones before it began its Firefox OS foray. “The intention was to launch on Android, but given the experience Geeksphone gained in Open Web [phones] they have decided to give the users the option to choose between either system,” the company told CNET. Based on a forum post from Geeksphone, it looks like the Revolution might use an Intel processor. 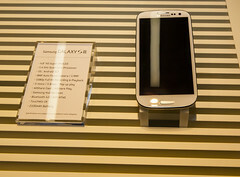 “This is what we are working on, but now with 4.8″ screen,” the post said, offering a link to a video showing some pros. The phones use 3.5-inch screens in the video, and the Intel-based model outperforms the Qualcomm model in boot time and some other computing tasks. Technically, it’s not Firefox OS on the Revolution, but instead the Boot2Gecko software that Mozilla uses for the project’s name. It’s the same bits and bytes, but a different label: “Firefox OS is a brand currently not available for independent manufacturers not associated with carriers. Geeksphone will work with Mozilla once this option is made available,” the company said. The company bet big on Firefox OS, Mozilla’s open-source, browser-based operating system. Mozilla hopes Firefox OS, along with an Android version of Firefox, will extend the clout it has with personal computers into the mobile market, too. Currently, Apple and Google dominate mobile operating systems, and Mozilla doesn’t like those companies’ controlling ways. A third carrier joined the Firefox OS push Thursday: Telenor, which is based in Norway but also does business in Asia and eastern Europe. It already was committed, but now it’s actually begun selling Firefox phones. Geeksphone is a small manufacturer; the more prominent sales push for Firefox OS is coming from carriers — Telefonica and Deutsche Telekom to start with — that have a strong retail presence. So far they’ve brought Firefox OS to markets such as Brazil and Poland; in more affluent markets where iOS and Android have a stronger presence it’s a harder sell. The company is in the process of designing an upgraded Peak model called the Peak+ that isn’t shipping yet. Customers who ordered the Peak+ will be able to switch to the Revolution at no cost, Geeksphone said. Has your Facebook resembled the Sunday funnies lately? Is your entire news feed, all of a sudden, inexplicably dominated by personalized comic strips from your friends and family? Well, it’s all thanks to an app called Bitstrips, which launched its 1.1.7 version for iPhone, iPod and iOS users this week as well as on Google Play for Android users. And already, the free app has made its way to the No. 1 spot on the top free-apps section of the App Store and Google Play as of Thursday with more than 10 million users. The app, which claims to be “the most customizable avatar-creation tool on the Web,” allows users to create and share comics of themselves and others with personalized messages. With more than 1,000 customizable templates and new ones added daily, users have endless opportunities to create comics about their day, their friends, pop culture or whatever is on their minds. But when did Bitstrips, which had 3 million monthly average users as of July, become so popular? Three months ago, VentureBeat.com called Bitstrips “the hottest startup you’ve never heard of” after it garnered 10 million users in just seven months after launching for Facebook and its educational tool,Bitstrips for Schools, in the beginning of this year. According to Bitstrip vp of marketing Shahan Panth, the app, which they consider “the next step in the evolution of social media,” exploded very quickly, with more than 50 million unique cartoons shared as of July. CEO Jacob Blackstock believes the app will resolve the “frustratingly flat” status of social media today, especially for its target user demographic in the 18-24 age range. The most impressive part? The Toronto company is bootstrapped, without any capital or external help, and uses virtually no advertising. According to Venturebeat, the next step for Bitstrips, now that it’s landed on mobile devices and grown in regional markets like Mexico City and Lima, is to monetize. So how exactly do you create a Bitstrip? First, download the app to your mobile device or access the app on Facebook. From there, you will have to create an avatar of yourself based on your appearance with customizable hair, clothes, facial features, body type and more. Then, you can sift through and choose from countless pre-made scenes and scenarios to set your avatar in. You can also create avatars for friends who haven’t already signed up for Bitstrips, or include those who already play along in your cartoon. After you’ve chosen the setting and characters, you can add the script by typing in your own dialogue and captions. From there, you can share your Bitstrip with friends on social media. Released at the Mobile World Congress in Barcelona a few months back, the Nokia Pureview 808 is a phone for photography enthusiasts. Well, we said it. That’s one of the redeeming and appealing features of this phone. What are the other competing smartphones in the market? The IPhone 4S, the Galaxy SIII, the HTC One X. A more affordable price point in comparison is the LG Optimus 4X HD. The phone runs Symbian Belle, unappealing compared to the iOS or Google’s Android. Most users do not care much for photography, and are looking for phones that fit in with their corporate needs. Apart from the ubiquitous Blackberry, rapidly losing market share, the iPhone has been steadily becoming more popular. Nokia PureView 808 has been positioned as the camera with a 41 mega-pixel camera. That is correct; the only thing in which it is better than the competition. Photos can be captured in astounding detail, but it does not have additional features present in the point-and-shoot camera variety. Apart from the Carl Zeiss lens, there is a xenon flash assisted by an LED. It has a ND(Natural Density) filter that can help users take more natural colors. It has a 1.3 GHz natural processor with a seperate chip for image processing. Other tech specs include 512 MB RAM, 16 GB inbuilt storage, and support for a microSD card. But the resolution is pretty low for a smartphone. PureView is essentially a clever solution to problems facing customers such as lack of optical zoom and bad low-light photography. For business users however, conventional smartphones remain a better bet. The Nokia PureView 808 is essentially more of a camera phone. As Apple’s annual conference for software developers kicks off Tuesday, all the key stakeholders in the company’s ecosystem will be present save one, Google. The company is increasingly being challenged in areas as diverse as cloud computing and smartphones. Apple is launching its own mapping application to take on Google. 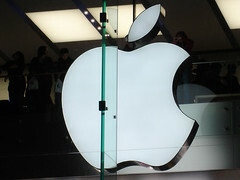 It will unveil integration with its iCloud storage service and the iPhone, in a challenge to Google’s Android OS. A new line of Mac Laptops is also expected to be unveiled, in what news portals around the world are calling a subtle turf war. Apple also plans to entice more customers to try out its app store. Apple has spent three years preparing to take mapping back. It has integrated technology from acquisitions such as 3D mapping company C3 Technologies, Canadian startup Poly9 Group and mapping service Placebase. Already, about 20 touch-enabled ultrabook designs with various styles of foldable, detachable or sliding keyboards running the new Windows 8 system are in the pipeline.